Fantastic film of 55 minutes. This is definately not a "how to" film. It is beautifully filmed in the Outer Hebrides, and covers the seasonal cycle of the Atlantic Salmon. Most of the angling shown seems to take place in the saltwater river estuaries and certainly makes you want to be there. The underwater shots and some film of Salmon behaviour to a fly are amazing. Yes, a smashing dvd and worth it just for the fantastic scenery. I met one of the anglers featured in the film on the Upper Tweed last month, and he confirmed it took a few years to shoot. Am I alone in thinking it is vastly over-rated? Gave my copy away. Rob, I think I kind of know what you mean. If this film was shown free of charge on terrestrial television, then the forums would be absolutely buzzing with admiration and awe. However if they were then asked to pay for it, it moves it into a different category. It is not a guide to Salmon fishing, but simply a lovely Natural history film which will appeal to many . Picking up my copy this week. Between watching this and reading some Falkus then meeting up with Stp then i'm surely in for a days blanking on the river this Sat. Just watched the DVD and thought it was fine. Seeing Salmon acting completely different in Sea pools was excellent. The Lassies first ever Salmon was a belter. How exciting it must have been for her casting into a shoal then watch them chase, turn away, come back and take her flee, must have been amazing. BTW she was a Ginger . Anyone know the cost of fishing these sea pools ,,or is it free? Surely they don't charge for fishing in the sea?,,mind you in this day 'n' age i wouldn't be surprised. The fish they killed at the end of the season out of the loch were a bit coloured for my liking. What a great idea,,,,,but we should have a big get together this year. I will go as long as some Ginge is aboot . 'Charge' .... Pennies or Bobbies? I met someone who fishes from the beach at xxxxx probably about a mile away from the river mouth, and who says he catches salmon. I don't know the legalities or otherwise but he assured me that even although the local constabulary have visited him there is nothing they can do to stop him. Super film, handled very well, in a stunning backdrop. Would be great for a week's fishing - a real getaway with some like minded fly-fishing nuts! 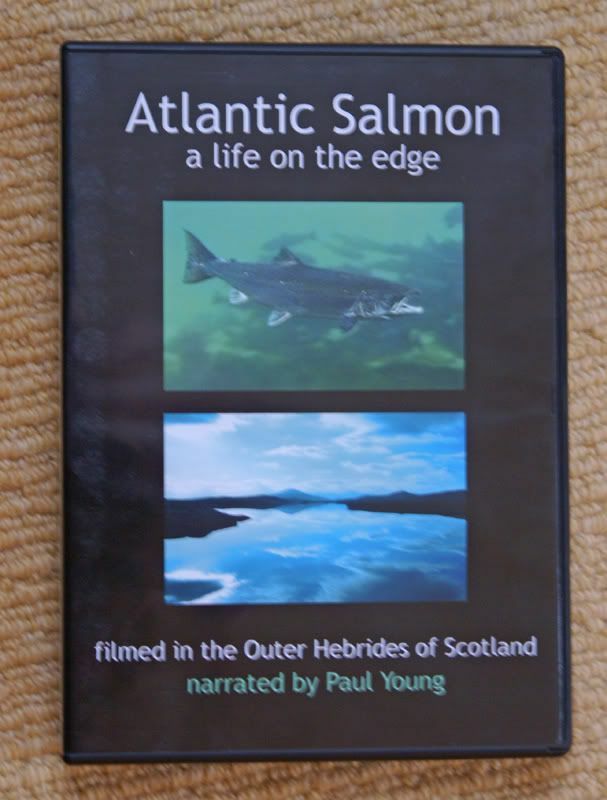 Hi, I realise this is years after the last post but I am looking to buy this DVD Atlantic Salmon - a life on the edge as I lost my own copy. I have been unable to locate a copy on the Internet and wonder if anyone has a copy they would like to seek. Sportfish originally sold it. Have you tried them ? I have just checked with them now on the site, it is not currently listed on their but have sent an email just in case. It is like gold dust.